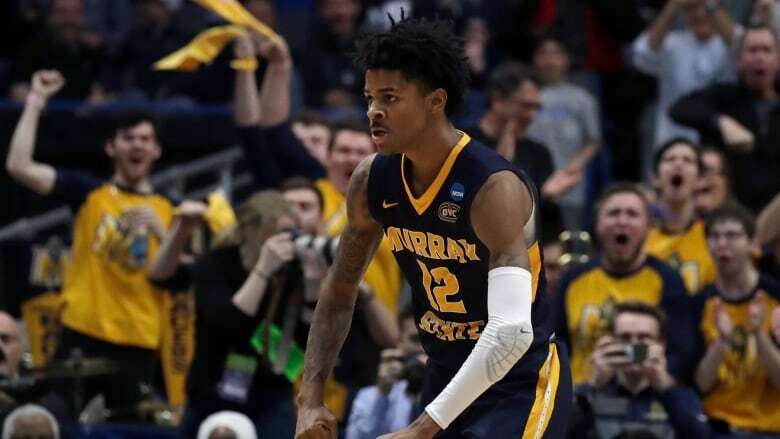 Ja Morant logged the ninth triple-double in 30-plus years of NCAA Tournament history as Murray State trounced fifth-seeded Marquette 83-64 in the first round of the West Region. Florida State withstood a barrage of 3-pointers from 13th-seeded Vermont and advanced to the second round with a 76-69 victory. Canada's Mfiondu Kabengele scored 21 points to lead fourth-seeded FSU. Third-seeded LSU advanced in the East Regional, holding off upset-minded Yale 79-74. Freshman Gabe Kalscheur scored 16 of his 24 points in the second half to lead No. 10 seed Minnesota past No. 7 seed Louisville 86-76. Kansas shot 56 per cent and advanced to Saturday's second round against fifth-seeded Auburn.